A truly spectacular novel. It combines history, animals, horror, intrigue and superb writing. It is a very well written and intricate story so be alert and pay attention. But that won’t be a problem as Charles’ writing is utterly addictive. I personally read this novel in a day, in two sittings. I was totally spellbound. The plot is as follows. We have a character named Dr. Harper Paget, who is a mythologist and paranormal researcher. She is residing in Atlanta. She has contacts within a prestigious university in McAbee, IL. Floyd and Emma Hardin. Not forgetting a scholarship student Lina Wibosono from Indonesia. Harper’s wife, Pauline, is tragically murdered in San Diego. Then, when he thought things couldn’t get any worse, his pen-pal lover, Mira, is murdered in China. But Mira’s murder is anything but normal. She was attacked and killed by creatures that can appear to be the lamiae from ancient Greece but who are able to re-appear in different times throughout history by traveling between dimensions. The lamiae have found their way to the U.S. to destroy Harper just as the lamiae battled against his ancestors. He must battle these creatures not only with the help of his friends but also with the aid of a psychic rune reader and an upstairs neighbor. This is a multidimensional paranormal novel where the living meet the dead and where no one is safe. Just after reading the plot I am sure you are now dying to read this epic novel. But the book goes so much further and boasts multiple appeals. It won’t simply satisfy horror lovers, but will be adored by bookworms and avid readers alike. I was amazed. The creatures that Dr Harper battles are terrifying, yet undeniably interesting. Their form and abilities and compelling history with the Doctor. I feel as though this novel was a cross between a Dan Brown book, a thrilling historical smart movie that would star Nicolas Cage or Tom Hanks, and a unique independent horror flick. The horror element in this goes much further than jumps and jerks or blood and gore. It gives you ongoing chills that will plague your subconscious. 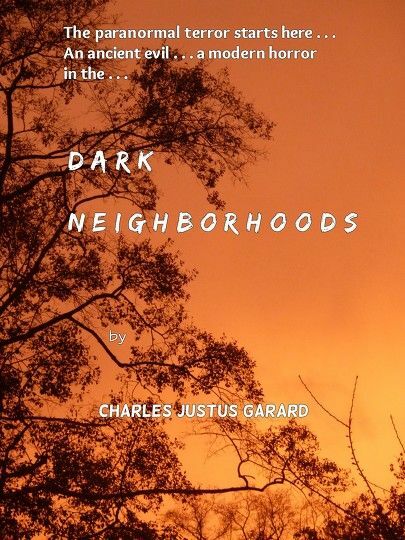 The darkness within this novel will haunt your dreams and waking thoughts. Props have to go to the author. As this is a spectacular read. Evil creatures, spellbinding history, breathless suspense, chills, and quirky intriguing characters. And it doesn’t end here. You’ll be glad to know it is just the beginning in a franchise!